Prime Minister Justin Trudeau will repay Canadian taxpayers the equivalent of economy class fares for each family member that accompanied him on a government Challenger jet to the Caribbean nation of St. Kitts and Nevis over the holidays. Prime Minister Justin Trudeau will repay Canadian taxpayers the equivalent of economy class fares for each family member that accompanied him on a government jet to the Caribbean nation of St. Kitts and Nevis over the holidays. Canadian prime ministers are not permitted to fly on commercial flights for security reasons, forcing Trudeau and his family to take the Challenger jet to and from the Caribbean location for a vacation. A spokesperson would not release information detailing how many members of Trudeau's family, or how many security officials, accompanied the prime minister on the flights. The Department of National Defence was unable to provide the actual flight time from Ottawa to St. Kitts and Nevis aboard the jet, but a Challenger costs $14,400 for an hour in the air, putting the cost of the flight in the tens of thousands. Former prime minister Stephen Harper in the past also paid economy fare prices for personal travel with his family. Harper issued an edict in 2011, saying he expected all senior officials to reimburse taxpayers for the cost of personal flights on government aircraft, after documents suggested former Chief of Defence Staff Gen. Walter Natynczyk had spent more than $1 million flying on the air force's Challenger jets since 2008, including a flight to St. Maarten. Trudeau spent 10 days in the Caribbean with his wife Sophie Gregoire-Trudeau and the couple's three children, Xavier, Ella-Grace and Hadrien at an undisclosed location. Trudeau enjoyed the holiday with family friends who made their way to St. Kitts and Nevis independently. Costs associated with the Trudeaus' stay in the West Indies were paid personally by the prime minister and therefore remain private, a spokesperson in the Prime Minister's Office said. 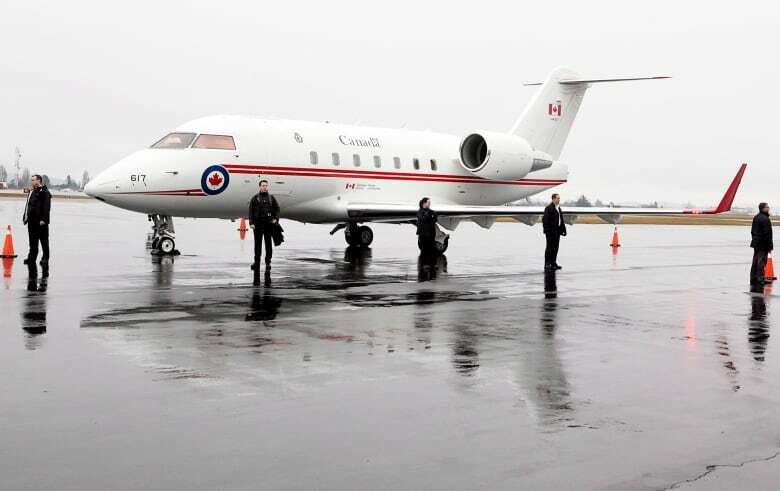 During Trudeau's trip there was apparently also room for some diplomatic business as the prime minister met, and was bid farewell when he left on Jan. 8, by the prime minister of the islands, Dr. Timothy Harris, and the country's foreign affairs minister, Mark Brantley. 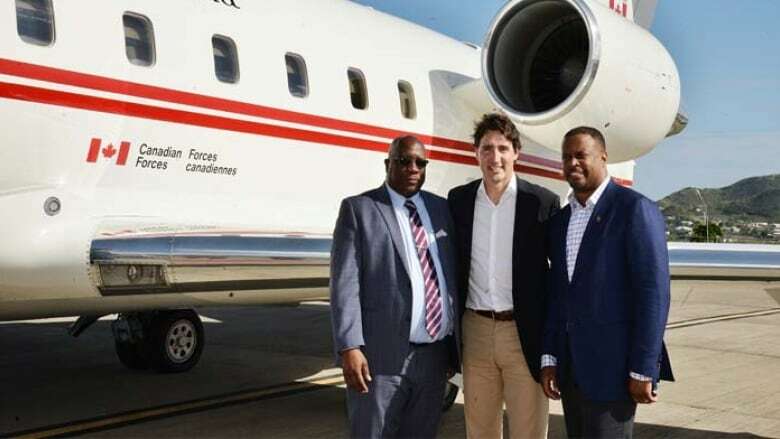 A local newspaper, the St. Kitts and Nevis Observer, published a picture of the three men posing in front of a government of Canada Challenger jet. The mention of a meeting between the prime ministers prompted Conservative foreign affairs critic Tony Clement to write to Liberal Foreign Affairs Minister Stéphane Dion seeking assurances that no promise had been made to lift visas imposed on residents of St. Kitts and Nevis. PMO spokesperson Andrée-Lyne Hallé said in an email that Trudeau met with Harris for a brief and casual conversation in which Trudeau reiterated Canada's concerns about maintaining the integrity and security of Canada's immigration system in light of potential abuses by certain third-country nationals of St. Kitts and Nevis. Trudeau is getting used to international media attention for his political prowess, but on this trip he earned the attention of the celebrity news site TMZ for simply vacationing with his family at an exclusive resort. The website reported that Trudeau's 3,400-square-foot villa cost $2,500 a night.